*Based on 2018 EPA mileage ratings. Use for comparison purposes only. Your actual mileage will vary depending on how you drive and maintain your vehicle. 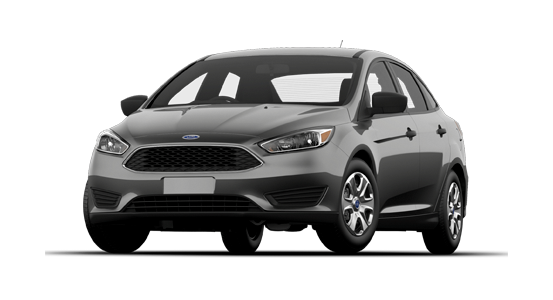 Ready to drive home a spacious sedan, filled with plenty of fun, style, tech and safety? If so, then you’ve probably considered the 2018 Toyota Corolla and the 2018 Ford Focus. Both of these impressive sedans offer sophisticated style, fantastic fuel efficiency and loads of modern technology to deliver a ride like never before. However, check out the information below to see why the new Corolla makes a lasting first impression. 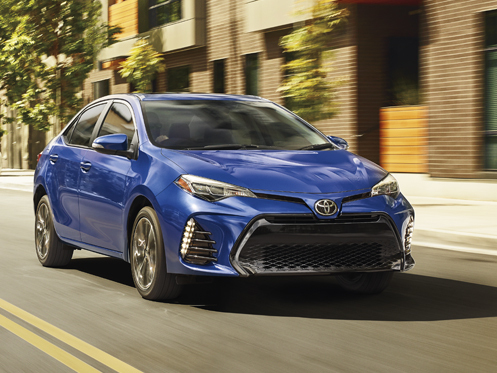 Not only is the new Corolla beautiful to look at it, the sleek, aerodynamic shape adds to the overall efficiency allowing you to cruise by the pump with less frequent stops while turning heads at the same time. Boring road trips are a thing of the past with the Toyota Corolla courtesy of the impressive array of modern tech filling your drive with fun and connectivity. Equipped with standard technologies like Siri® Eyes Free and Bluetooth® wireless technology, both you and your passengers will enjoy every moment spent behind the wheel in the modern Corolla. Peace of mind comes standard with every new Corolla model thanks to the incredible Toyota Safety Sense™ P (TSS-P) suite of advanced safety technologies. With features like a Pre-Collision System with Pedestrian Detection (PCS w/PD) and Lane Departure Alert with Steering Assist (LDA w/SA), you can rest assured you’re protected no matter where you travel. If you’re looking for a sleek sedan that not only fulfills your needs but your wants as well, then look no further than the new 2018 Toyota Corolla. When it’s time to upgrade, choose Johnson City Toyota for an exceptional car-buying experience. Why Choose Johnson City Toyota? When you purchase a new Toyota from Johnson City Toyota, you can drive off with confidence thanks to our complimentary Lifetime Warranty, featuring unlimited time and miles. Our “Love It or Leave It” five-day pre-owned vehicle exchange policy allows customers to return their current purchase within five days if they are not 100% satisfied with the vehicle they chose. 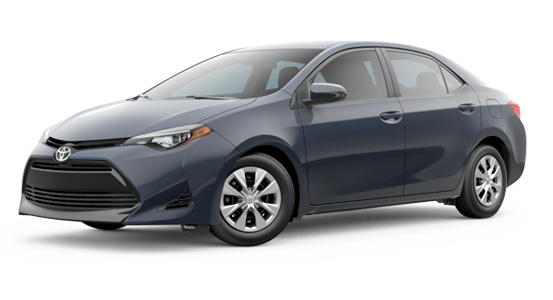 If you’re interested in driving home a new 2018 Toyota Corolla, give us a call or stop by Johnson City Toyota at 3124 Bristol Highway, Johnson City, TN 37601 for a test-drive today. We look forward to serving our customers from Johnson City, TN, and throughout Bristol and Kingsport, TN.